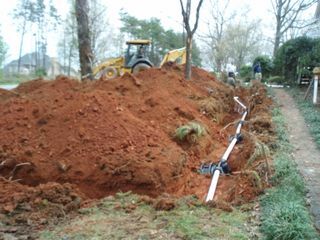 This is what it looks like when you put in a new septic drain field. I really had nothing to do with it other than contributing to the, uh, effluence that led to the old field getting saturated. 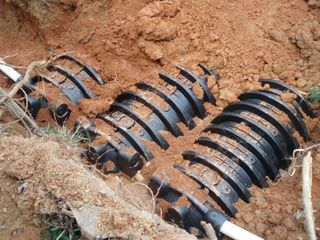 BTW, I highly recommend Frank Transou if you need to have septic repair, installation or replacement done. 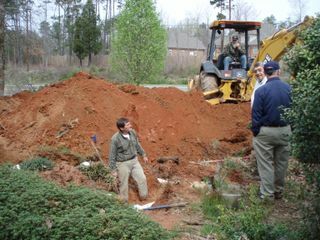 This entry was posted in House & Home on May 8, 2009 by Jon Lowder.